The stud operates from the Herdade da Tramagueira, in the municipal and county district of Beja, Portugal, as an agricultural operation geared to cattle and Lusitano purebred horse breeding activities, with great landscape and environmental principles. The stud’s various areas of permanent meadowland, both unirrigated and irrigated, provide ideal conditions for our animals’ proper development. The stud has ten own brand Lusitano mares, almost all riden, with all of the breeding stock being descendants of NILO (M.V.) and OPUS 72 (M.V. ), with a inbreeding programme in the bloodline of FIRME (SA). 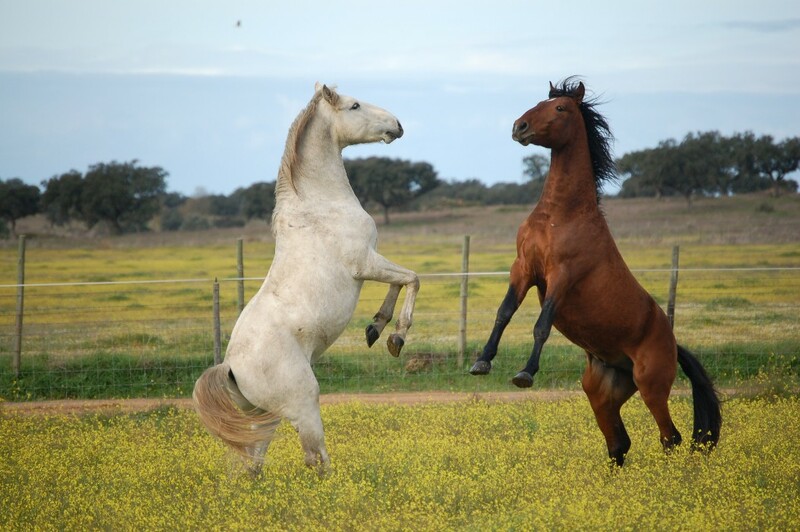 The following horses, who have proved themselves to be outstanding at the highest levels of the Lusitano breed, predominate in terms of our animals’ genealogy: NILO (M.V. ), OPUS72 (M.V. ), XAQUIRO (Quina), FIRME (S.A.), UNIVERSO (M.V. ), ZELADOR (M.A.C. ), ELEITO (M.A.C. ), SPARTACUS (CSM), CAMPEADOR (CSM), IMPOSSÍVEL (BN), SOBERANO (GUB), HOSTIL (JGB), GRAN SOBERANO MT (MT), RUBI (AR) and ESCORIAL (BAR). We have concentrated on a painstakingly strict selection of stallions/broodmares, with the aim of breeding good natured horses with high levels of functionality, typicality, dimension, physical structure and slenderness, while never disregarding the main characteristic which make the Lusitano such an unrivalled horse: RIDEABILITY. Our endeavours have been rewarded by several prizes in Model and Movements competitions in Portugal and all around the world, in adition to several horses with outstanding performances in dressage (GP Level) and bullfighting. 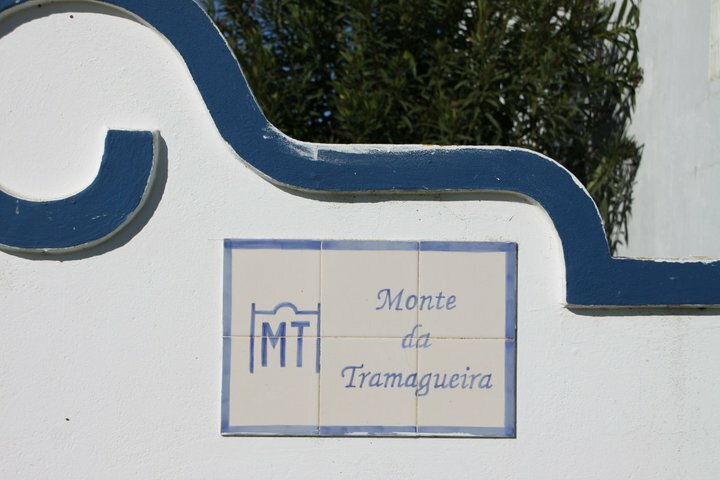 We present the new brand of Coudelaria do Monte da Tramagueira, created by the painter Beatrice Bulteau, inspired in some of our horses, specially in our stallion Don Soberano do MT.